Inspired by Alex Eylar and Tim, brilliant young builder AT94 (Flickr) tries his hand at cinematic photography — to great success, I think. 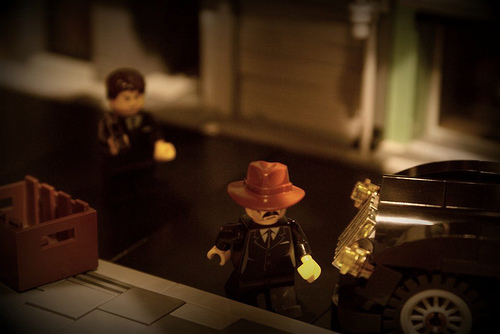 As a brickfilmer who’s into cinematography, I’m really impressed with these. Maybe you should try narrowing the camera’s aperture in order to get more of the image in focus. I need to try my hand at some cinematic shots. Actually Night Owl, I think it has more of an effect with less in focus. Haha, I just saw this two days ago. Fantastic shots!